Entrepreneur Ted Catino has functioned as co-chief executive officer of GigSmart in Cincinnati, Ohio, since launching the mobile employment application alongside his wife Becky in 2016. Ted Catino has designed GigSmart with both job seekers and employers in mind, including businesses, individual employers, and charities. GigSmart represents an effective, cost-free solution to charities in need of support from volunteer workers. The app provides philanthropic organizations with a number of beneficial features, including the ability to easily track and manage phone calls, emails, and additional data relevant to an existing base of volunteers. To do so, charities should ask volunteers to download the GigSmart app and select “volunteer” as a skill on their profile page. Finally, volunteers can add the charity’s specific code as a keyword to their skills page to stay informed about news and volunteer needs. Of course, charities can also use GigSmart to increase their volunteer base. Not only have interested parties throughout the nation turned on their availability as a volunteer, some may have specific volunteer skills that can provide added value to a specific charity. To receive a unique code for volunteers to use, charities should email support@gigsmart.com. More information for charities is available at www.gigsmart.com. Based in Denver, CO, Ted Catino has driven operations at GigSmart as co-Chief Executive Officer, alongside his wife Becky, since developing the mobile employment app in 2016. 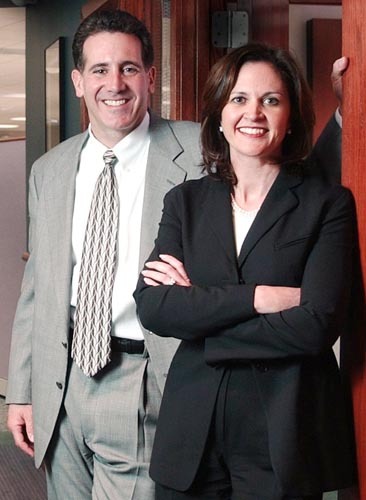 Through GigSmart, Ted and Becky Catino offer a streamlined path to short-term work opportunities with agreeable, flexible terms for both sides. Job seekers can begin utilizing GigSmart services at no cost by completing a few simple steps. To begin, users may download the app from either the Apple App or Google Play Stores. An account can be set up using an email address or a social media service, such as a Google or Facebook account. Users can then begin filling out their profiles, most notably the skills section, which includes more than 3,000 preloaded skill sets to choose from. These skills help employers determine whether or not an individual’s experience and professional capabilities fit the position. Finally, workers simply need to turn on their availability. After receiving and accepting a gig offer, workers travel to the job site and complete the task, after which they receive payment and a rating from the employer all through the app. For assistance with setting up and optimizing a GigSmart profile, please visit www.gigsmart.com. Experienced business leader Ted Catino is the co-founder of GigSmart, a mobile app designed to bring together businesses and employees with flexible, mutually beneficial contracts. In addition to his work at GigSmart, Ted Catino founded the Catino Family Foundation, a nonprofit emphasizing Catholic education. 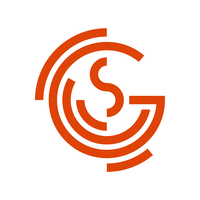 The GigSmart app is available to workers and requesters throughout the United States. While international employees can make use of the app, requesters rely on GigSmart to fill immediate employment needs, meaning workers should only accept work when residing in the United States. In the vast majority of cases, international job seekers will be required to provide a J-1 Exchange Visitors’ Visa or an F-1 Visa. For more in-depth information regarding employment requirements for international workers, individuals can contact Alliance Abroad, Apex USA, Camp Counselors USA, and a number of related organizations. By using GigSmart, both requesters and workers can enhance the app’s local profile, while also pursuing remote employment opportunities. To learn more about using the app to fill positions and find work, please visit gigsmart.com. An accomplished entrepreneur with experience in the investment and automobile finance industries, Ted Catino serves as co-founder of GigSmart. This Ohio-based company created a mobile application that connects gig workers with businesses and charities. Under Ted Catino’s leadership, the business works to create an efficient marketplace for on-demand and same-day work. The flexibility of work in the gig economy gives freelancers, contractors, and other gig workers a greater sense of purpose, ensuring they are more productive. Although it has grown recently in popularity, the concept of gig work has been around for many years. Certain industries, such as technology, have enjoyed the many benefits of the gig economy for some time. Meanwhile, other industries are just starting to learn how they can benefit from gig workers. Needless to say, the gig economy is not a fad and it will not disappear anytime soon. The unemployment rate in the United States is actually at one of its lowest points in the past couple of decades. But many workers in the U.S. are underemployed and are struggling to find the money to cover increasing living costs, student loan payments, and healthcare costs. With the gig economy, people can earn some extra money to cover costs while working in a different position or going to school. How Do I Figure Out What My Passion Is? Since 2016, Ted Catino has led GigSmart, which is a mobile application focused on connecting workers and employers in the gig economy. An experienced business leader, Ted Catino shares his expertise with other budding entrepreneurs and helps young professionals discover their passions. Although it may seem simple, finding your passion can take a great deal of effort. To start, you have to get the right perspective. If you believe you will never discover your true passion, you never will. Similarly, if you believe that you won’t be able to do what you love, you never will be able to. Get rid of thoughts like these and instead recognize that you can find and follow your passion. Focus on surrounding yourself with people who are also following their passion to keep you inspired during the process. Once you have the right perspective, you can start figuring out whether you already do your passion. Look at your life and think about moments when you felt extremely happy and satisfied with your life. Analyze these moments and figure out the small components that played a role in creating those positive feelings. You may discover you have been doing what you’re passionate about on a small scale. If not, you may get some clues about what your passion is. It also helps to think about which activities you could not imagine living without. A passion is something that you won’t ever get bored of, regardless of how much time you spend doing it. Imagine you had complete financial freedom and ask yourself what you would fill your time with. When multiple activities come to mind, think of an umbrella that would cover all of them and see if you can create a career relating to that umbrella topic. The co-founder of several successful business ventures, Ted Catino recently launched GigSmart, a mobile application that connects workers and employers as well as retired people and volunteer opportunities. Additionally, Ted Catino works as a transition coach, providing guidance and support to seniors navigating their retirement. Most retirees claim their Social Security benefits when they reach the age of 62. However, delaying Social Security payments has a host of benefits. 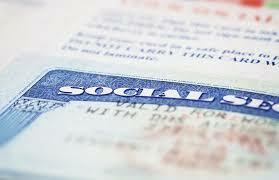 Many Americans born after 1947 are entitled to their full Social Security benefits by the age of 66. Claiming earlier results in a permanently reduced monthly amount. Conversely, the entitled amount increases by 8 percent every year Social Security goes unclaimed until the person is 70 years old. This means that by postponing Social Security payments for 4 years, retirees can receive 132 percent of their monthly benefit for the rest of their lives. For people who plan to work until age 70, delaying Social Security payments may be the most economical option. However, for older people who are ill, unable to work, or already facing financial issues, taking a reduced early payout may be preferable. Ted Catino has over three decades of entrepreneurial experience in the finance and investment sectors. In addition to his executive roles, Ted Catino co-founded the job search application GigSmart and coaches clients seeking employment. People who are transitioning into a new career face the unique challenges of getting noticed by hiring managers. Depending on their past experience, these applicants may seem overqualified or underqualified for the position. It is important that job seekers entering a new field revise their resumes appropriately to get the strongest response possible from potential employers. Some skills, such as project management experience or the ability to lead a team, are useful for any position. Career changers can highlight these transferable skills by using a functional resume format rather than a chronological one. By listing all relevant competencies at the top of the resume, candidates can quickly demonstrate that they have right skills for the job. A candidate can also explain his or her qualifications for the position by describing duties performed during relevant volunteer experiences.